I wanted to share something I’m really excited about. 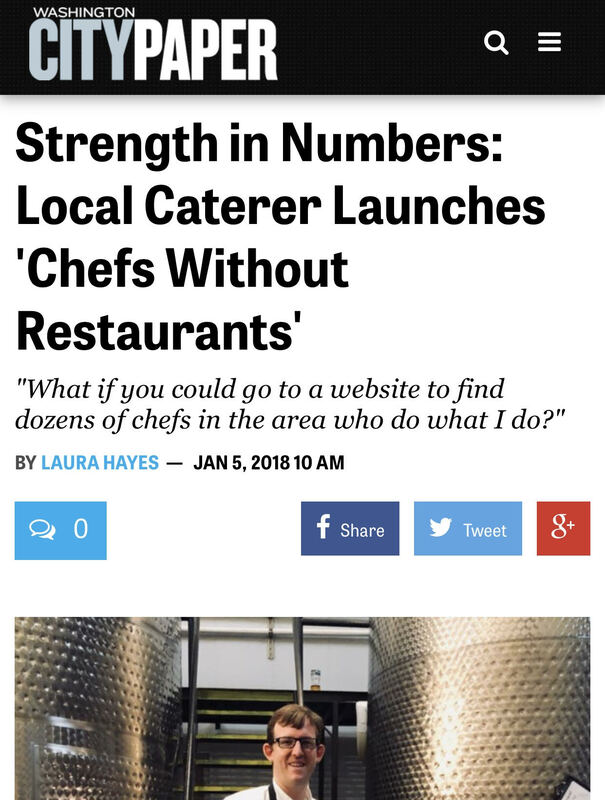 It’s a new project called Chefs Without Restaurants. I wanted to create a network of chefs who aren’t working in traditional restaurant settings. Personal chefs, food truck operators, caterers, chefs in contract foodservice and anyone who wants to get together and have a good time. It’s been kind of lonely since leaving a big kitchen. 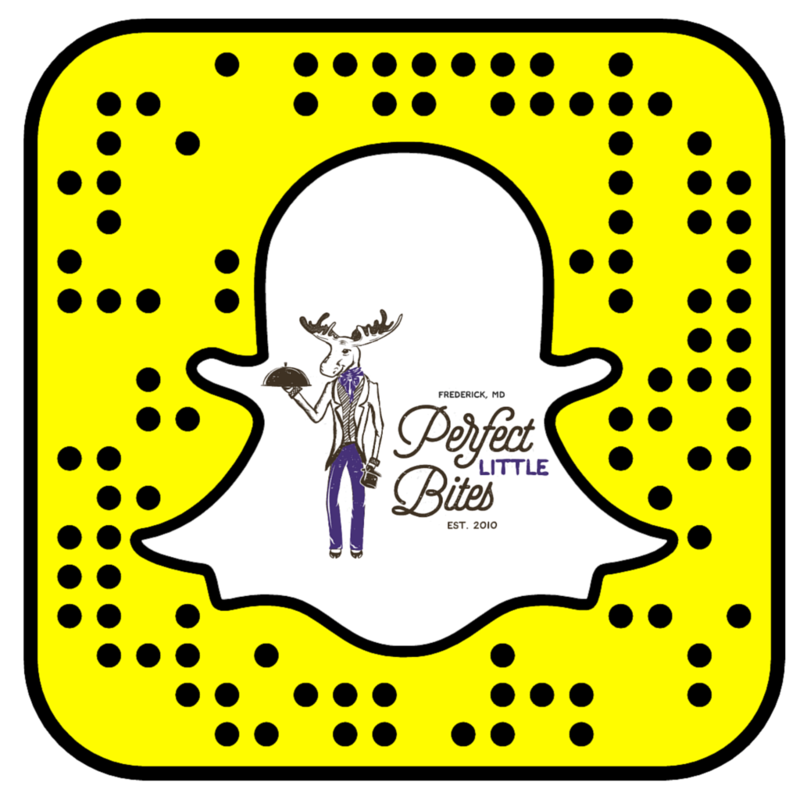 Over night, I went from running a kitchen with more than 50 employees, to being the sole employee of my business Perfect Little Bites. I miss being able to work with other people. To have someone to bounce ideas off of. I know I can’t be the only one who feels the same. I think there are a lot of benefits to this. We could share resources. Maybe you need to borrow some specialty ingredient, or want to split a whole pig. I’m sure we all have different cookbooks, and it might be fun to swap some for a while. I’d love to have a network of chefs who can support each other and maybe share referrals. I’ve booked a lot of gigs due to referrals from other personal chefs in the area, and I’m so grateful for that. How do we grow that process? Maybe you don’t need to hire a full-time employee, but could just use a set of hands for an evening. Most of all, I want to have fun, and do events together. 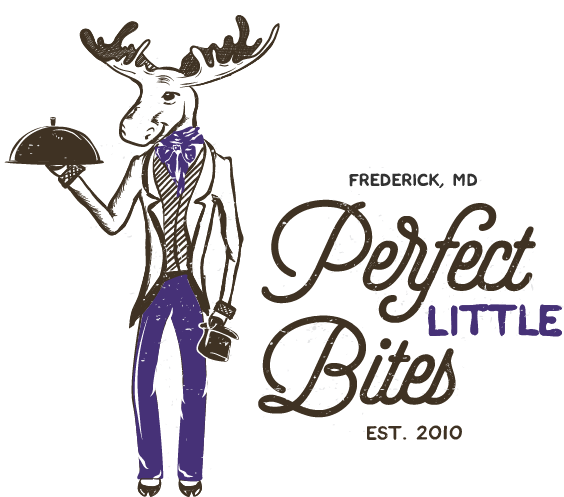 I don’t see many fun food events, especially in the Frederick, Md area. I think the time is right to do some really great collaborative events. I’ve started by connecting with chef Rory Watts II of Knife & a Kitchen food truck, and we have already planned two upcoming events. On January 16th, we’ll be cooking at McClintock Distilling in a head to head. We’ll each put up 4 dishes, and guests will vote for their favorite chef of the evening. Included in the price will be the 8 dishes and some cocktails. You can find tickets here. On February 7th, Rory and I will be at Olde Mother Brewing Co. providing food for their singles mixer. Come out for a beer, some food and hopefully make a connection with someone just in time for Valentine’s Day. You can find tickets here. I wasn’t planning on launching this so soon, but the events at McClintock and Olde Mother seemed like a good fit for the Chefs Without Restaurants launch, so I pushed up my time table. There’s a website and all the social media platforms. They’re not all done, but please follow along. Right now, this is a project based in the MD/VA/DC region, but I’m open to growing it. If you’d like to be included, please contact me at chefswithoutrestaurants@gmail.com. It’s not necessarily limited to chefs without restaurants, but that will be the focus. It can be a platform for line cooks to come do events, and get their name out there. Unlike many other organizations, there’s not fee attached. Just looking for chefs willing to share resources and leave the drama at home. Here is the Facebook page for the business, which will probably be for the consumer to see, and here is the Facebook group, where much of the discussion will live. Yesterday, there was a write-up about the project in the Washington DC CityPaper. Please share with those you think might be interested. It’s going to be a great 2018.